James P. Rubin – Bill Clinton’s Former U.S. Assistant Secretary of State. Keynote Business Speaker and Broadcaster. James P. Rubin was born in New York City, New York in 1960. He attended Columbia University in New York where he received a Bachelor of Arts degree in Political Science in 1982. He then received a Master in International Affairs degree from Columbia’s School of International and Public Affairs in 1984. In March 1998, James P. Rubin was honoured with Columbia’s John Jay Award which is presented to alumni of distinction and achievement. From 1985 to 1989 Mr. Rubin was the Research Director for the non-profit Arms Control Association in Washington, D.C. At this post he often served as a consultant to the Senate Foreign Relations Committee on nuclear arms control issues. Later Mr. Rubin served as a Professional Staff Member on the U.S. Senate Committee on Foreign Relations and was the Senior Foreign Policy Adviser to Senator Joseph R. Biden, Jr. a Democrat from Delaware. James P. Rubin advised Senator Biden and other members on the committee on U.S. policy toward Europe, the former Soviet Union, the Middle East, China and on global arms proliferation and containment issues (He consulted on the ABM treaty which dealt with arms control with Russia.). James Rubin served as a senior adviser and spokesman to U.S. Representative to the United Nations Madeleine K. Albright from May 1993 to August 1996. He assisted Ambassador Albright in formulating and articulating U.S. policy strived for at the United Nations. Rubin also advised Ambassador Albright on national security pertinent to her role as a member of President Clinton’s cabinet and National Security Council. From August to November 1996, Rubin was the Director of Foreign Policy as well as Spokesman for the 1996 Clinton/Gore campaign. 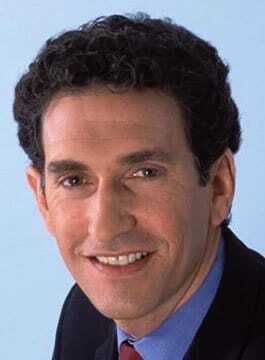 From 1997 – 2000 James Rubin served as Assistant Secretary of State for Public Affairs. He was nominated for this post by President Clinton on May 23, 1997. He was confirmed by the full Senate quite promptly on July 31, 1997, and he was sworn in as Assistant Secretary and appointed the State Department’s Chief Spokesman by Secretary of State Madeleine K. Albright on August 4, 1997. In this position he conducted daily on-camera briefings for the State Department press corps and represented the administration in print, radio, and television interviews regarding U.S. diplomatic, foreign economic and national security policies. James Rubin served as Senior Foreign Policy Adviser to Senator John Kerry during the 2004 Presidential general election. He also served as Senior Foreign Policy Adviser to General Wesley Clark during the primaries. Since leaving government, James P. Rubin has been a Visiting Professor of International Relations at the London School of Economics, a partner at a communications consultancy and has hosted the PBS series Wide Angle, a weekly International affairs program. James Rubin contributes frequent commentaries to major International newspapers, has written articles for Foreign Affairs, the New Republic and other publications, and appears regularly on CNN, BBC, SKY and other TV networks.